Drama. 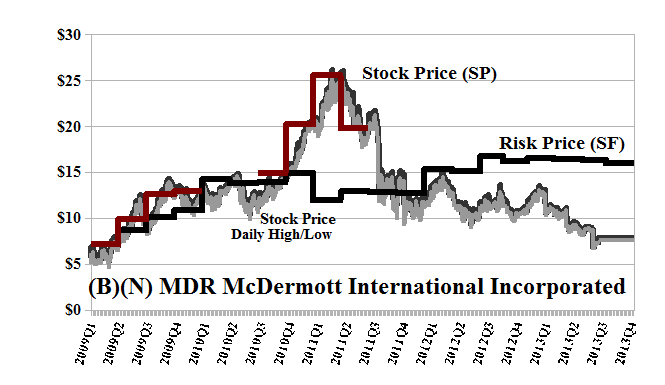 McDermott International is a $1.8 billion (down from $6 billion two years ago) “engineering, procurement, construction, and installation” (EPCI) company with active operations in the Atlantic ocean, the Middle East, and the Asia Pacific, theatres of operation made popular by “Raiders of the Lost Ark” in 1981. The company is now being hauled into Court for alleged violations of Rule 10b-5 of Sections 10(b) and 20(a) of the Securities Exchange Act of 1934 which seeks to abridge “Selective Disclosure and Insider Trading” based on the company, allegedly, failing to disclose, or advertise, difficulties at some of its project sites (PRNewswire, August 28, 2013, McDermott International, Inc. Sued by Investor). Moreover, the complaint – which is being promoted by a half-dozen or so Lawyers Without Portfolio (LWPs) as a “Class Action” – is not about the drop in the stock price from $25 to $12 in less than a year in 2011 (please see Exhibit 1 below), but about the period between November 6, 2012 and August 5, 2013, during which the stock price traded between $12 and the current $8, to close at $7.50 yesterday, and is somehow allegedly “inflated” according to the LWPs who don’t claim to own any of it because, after all, it would make them look “stupid” and too much like “victims”, if they did. 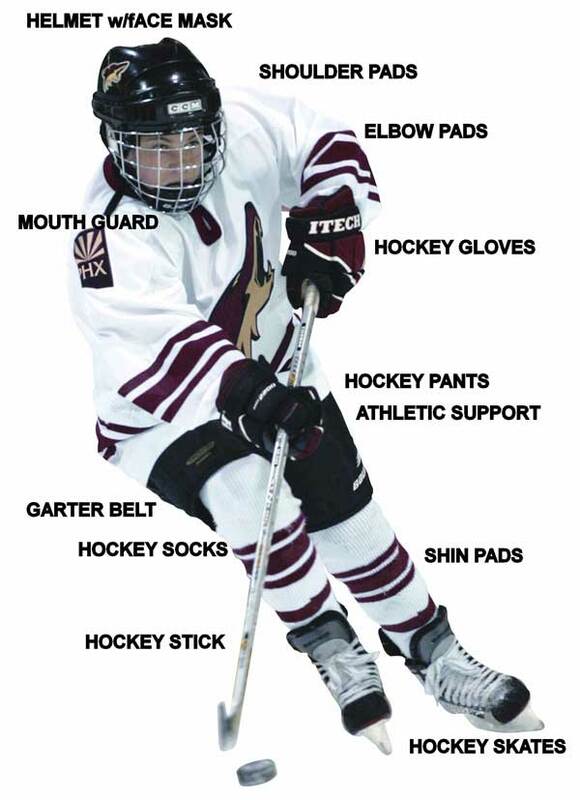 We, of course, have no opinion on the facts, the action, or its likely outcome, but we do ask – as investors – that if we buy “hockey gear” for our children but they don’t make it into the NHL, who should we sue? And the verdict of the risk price is quite clear. We only buy or hold the stock if the stock price, summarized as the Red line Stock Price (SP) is above our best estimate of the price of risk, the Black line Risk Price (SF), and for no other reason. Our game is not about the company – we rely on it to do the best that it can and what it does is not really our business – but about what 10’s of thousands of investors are willing to buy and sell it for, regardless of what it does. For more on what risk averse investing has done for us this year, please see our recent Posts on The S&P TSX “Hangdog” Market or The Wall Street Put or specialty markets such as The Dow Transports & Utilities or for the real class action, La Dolce Vita – Let’s Do Prada! McDermott International Incorporated is an engineering, procurement, construction and Installation Company engaged on designing and executing complex offshore oil and gas projects. From the Company: McDermott International Incorporated operates as an engineering, procurement, construction, and installation (EPCI) company worldwide. The company operates in three segments: Asia Pacific, Atlantic, and the Middle East. It focuses on designing and executing complex offshore oil and gas projects. The company offers EPCI services for offshore oil and gas field developments; and delivers fixed and floating production facilities, pipelines, and subsea systems from concept to commissioning. It engages in the fabrication and installation of fixed and floating structures; installation of pipelines and subsea systems; and provision of shallow water and deepwater construction services. The companys customers include national, integrated, and other oil and gas companies. McDermott International, Incorporated was founded in 1923, has 14,000 employees, and is based in Houston, Texas. ← La Dolce Vita – Let’s Do Prada!